human more like a flying squirrel. The video analysis in this item explores the physics behind this stunt. The zip file contains the Skydiving Without a Parachute entry, a video of Gary Connery landing, and a Tracker video analysis file. A discussion of the physics for a car on the wall was posted on the Dot Physics blog for Wired. Please note that this resource requires Xuggle. Skydiving Without a Parachute Side View video clip and Tracker files. R. Allain, , 2012, WWW Document, (https://www.compadre.org/Repository/document/ServeFile.cfm?ID=12033&DocID=2916). R. Allain, Tracker Video Analysis: Skydiving Without a Parachute, , 2012, <https://www.compadre.org/Repository/document/ServeFile.cfm?ID=12033&DocID=2916>. Allain, Rhett J.. "Tracker Video Analysis: Skydiving Without a Parachute." In Wired Dot Physics Blog. 2012. https://www.compadre.org/Repository/document/ServeFile.cfm?ID=12033&DocID=2916 (accessed 25 April 2019). 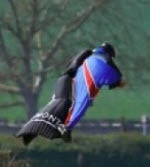 Allain, Rhett J.. Tracker Video Analysis: Skydiving Without a Parachute. 2012. 25 Apr. 2019 <https://www.compadre.org/Repository/document/ServeFile.cfm?ID=12033&DocID=2916>.